Jesus is speaking in these latter days.. Be still before Him. Listen and you shall hear of His love for you, personally. "How do I love you? I love you early. I love you late. I love you when you're happy and when you're sad. 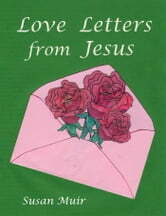 I, Jesus, the Christ, love you always and forever." "Rejoice, for the time of flowers and roses approaches. The time of flowers and roses is spring. My love springs up eternally and forever." "To you, My love, I give roses in the bud. They shall burst forth in beauty and perfume the air." "Sing songs to Me and be glad, My love, for joy hastens your blessing." "Love, eternal love to you."